On Wednesday Rev. 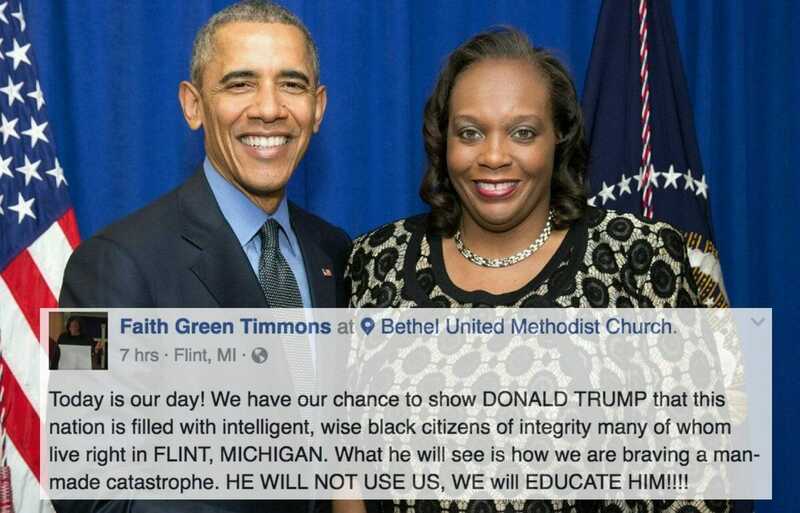 Faith Green Timmons of the Bethel United Methodist Church interrupted Donald Trump during his speech at her church in Flint, Michigan. 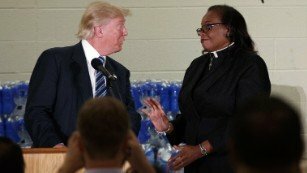 Pastor Timmons asked Donald Trump to refrain from attacking Hillary Clinton in her church. Oh, and she’s an OBAMA SUPPORTER!